The Municipality of the County of Cumberland delegates all of its authority under Part XV of the Municipal Government Act (Dangerous and Unsightly Premises) to the Administrator of Dangerous and Unsightly Premises, except the power to order demolition. For inquiries about dangerous and unsightly premises, please contact our Administrator of Dangerous & Unsightly Premises. The Municipality of the County of Cumberland has torn down 13 derelict buildings in 2014 and a total of 24 derelict buildings in 2015. Enforcement action is based on neighbourhood complaints. 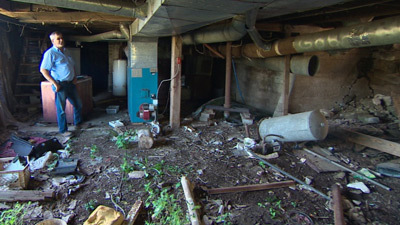 Buildings considered dangerous become a priority for demolishing. To find out more information about dangerous and unsightly premises, see the recent CBC news article on the issue.